Home Tags Posts tagged with "study abroad"
Today, our study abroad group arrived at an airport in Iceland at 11:30pm, marking the first day of our two-and-a-half week trip. Rather than getting rest following our five hour flight, we started doing things immediately. We took a tour of the capital, Reykjavik, as well as the surrounding areas, explored the Blue Lagoon, visited and hiked two waterfalls, drove through a fishing village named Grindavik, visited a geothermal hot spot, walked around two black sand beaches, shopped in a few grocery stores, and met up with our English counterparts from Liverpool John Moores University. We did not sleep at all through these endeavors by the way. By evening, we all felt as though we had already been in Iceland for three solid days. Although it felt like the longest day our group had ever encountered, we also felt that it had already been one of the best days we’ve ever experienced in our lives. Iceland is impossibly gorgeous and there were absolutely no words for the way it took our breath away. But.. nothing can prepare us for the ten-hour hike up a glacier that we face tomorrow. To recognize the 25th anniversary of this program and the work of Arboleda as its organizer, the university will hold a gala celebration on April 20 at 6:30 p.m. in the Adanti Student Center Ballroom. Alumni, faculty, staff, and current students are welcome to attend the event, whose proceeds will benefit a scholarship fund for future study abroad students in Spain. The gala will include dinner and entertainment — flamenco dancing, live music, speakers, and a DJ — and Arboleda will have available for purchase copies of a book he has compiled about the Salamanca program; proceeds from the book sale will also benefit the scholarship fund. Tickets to the gala are $60 general admission and $20 for current Southern students and may be purchased here. 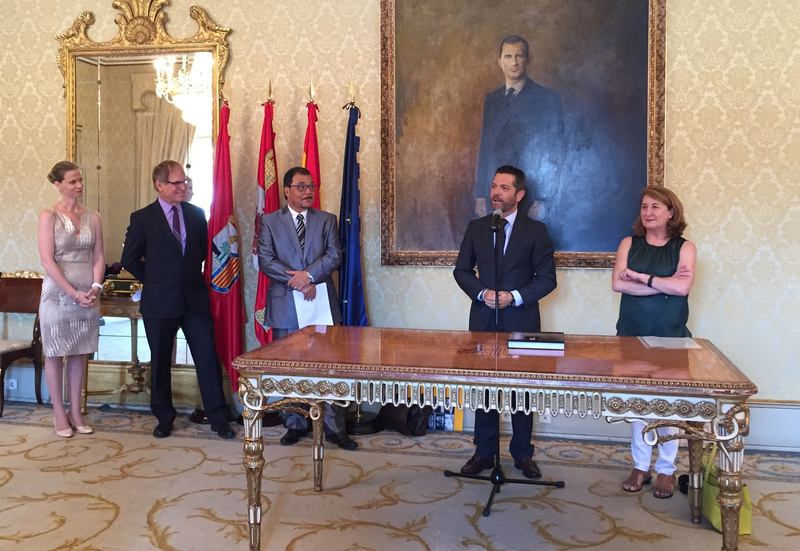 Celebrations also took place in Salamanca last summer, including events hosted by the City of Salamanca and universities with which the program has been affiliated over the years. 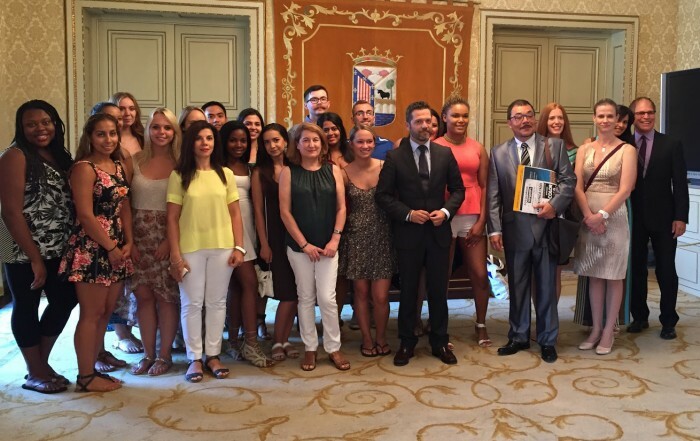 One such event was a reception in the City Hall of Salamanca hosted by representatives of the city and the Colegio de España (pictured below). Now, Southern will host the campus celebration to highlight and recognize the Study Abroad Program in Spain and the SCSU study abroad faculty and staff for their con­tribution to the program’s success. Upon being hired as a full-time pro­fessor at Southern in 1988, Arboleda accepted the university’s invitation to develop the program in Spain. Since then, he has successfully run the program in Salamanca, known as the Golden City of Spain. Since 1990, the SCSU program has worked with the University of Salamanca (1990– 1994) and later with the prestigious Colegio de España. 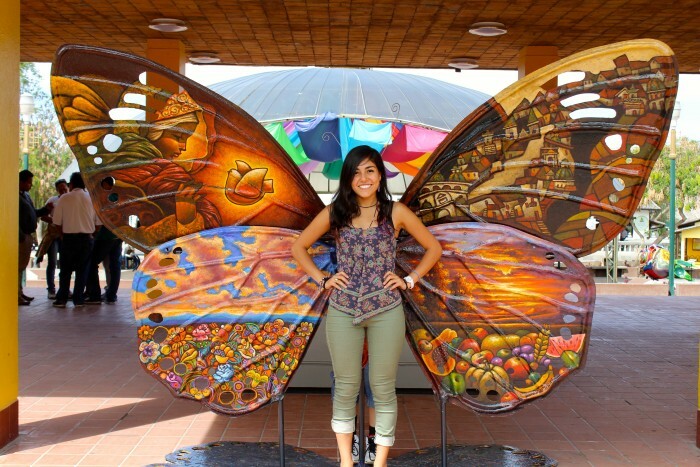 Over the past 25 years, the Salamanca program has provided professional development, commu­nity engagement, and intercultural travel experiences for students from Southern and other Connecticut higher education institutions. About 25 students attend the program each year. Many of the graduates of the SCSU–Colegio de España program have pur­sued careers in the field of teaching Spanish as a second language, international edu­cation, multi-national organizations, and in a variety of fields where the Spanish language is critically needed. Erin Heidkamp, director of the Office of International Education, agrees, noting Arboleda’s “steadfast commitment to international education, and to our students.” Heidkamp credits Arboleda’s leadership as playing a critical role in the growth of global education initiatives at Southern. Steven Breese, dean of the School of Arts and Sciences, who was present at the anniversary celebration in Salamanca last summer, says that the students who attend the program there are “forever changed by the great city and culture that is Salamanca.” Indeed, for nearly eight centuries, Salamanca has been home to the first Spanish language university, and it has been a World Heritage Site for more than 25 years and was named the European Capital of Culture in 2002. Salamanca is also recognized as an international leader in Spanish language education. Senior Clarisa Rodrigues is committed to earning a college degree – and making the world a better place for students with special needs. The Southern Fund lets her do both. Thanks to the Southern Fund, Clarisa was awarded an Undergraduate Research Grant to study the special education system in Ecuador. A talented member of the Honors College who is fluent in three languages, she’ll soon use that newfound knowledge – to help children in her own classroom. Gifts to the Southern Fund help us meet students’ greatest needs and forward the university’s most important initiatives – including Undergraduate Research Grants. Each grant provides a $3,000 stipend to a Southern student for cutting-edge research on topics ranging from economic rights in the U.S. to smartphone security to particle physics. 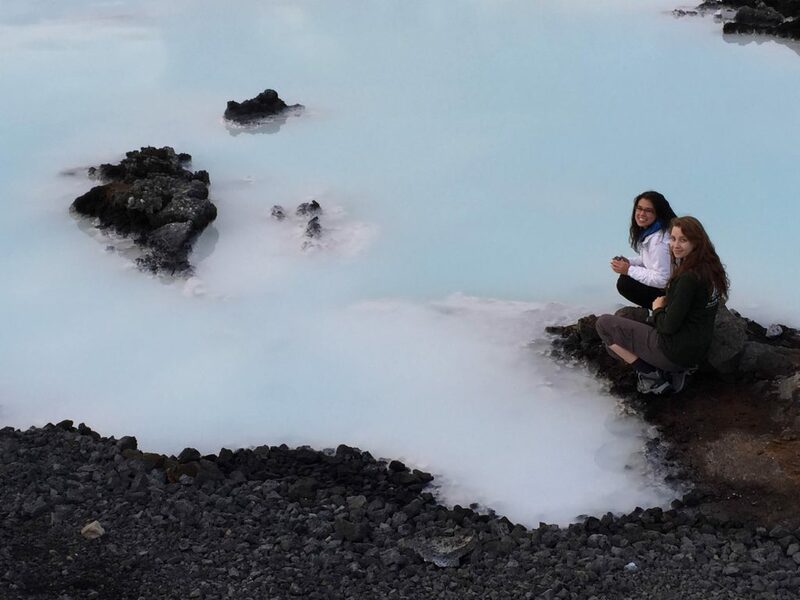 In terms of diversity of and access to faculty-led study abroad programming, Southern is now “walking the walk,” says Erin Heidkamp, director of international education. With the recent addition of five new study abroad programs, destinations now range from Liverpool to Laos, and program fees are affordable compared to other institutional and third-party programs study abroad programs outside of Southern. New programs this year include Amsterdam (sociology), China (nursing), Guatemala II (special education), Laos (English), and Liverpool (recreation and leisure). These programs join the university’s existing programs in Belize (biology), Bermuda (the environment, geography, and marine sciences), Guatemala I (public health), Iceland (the environment, geography, and marine sciences), Rome (English), Spain (world languages and literatures) and Tuscany (world languages and literatures). A key part of Southern’s mission as an institution of higher learning is “preparing our local students for global lives,” and each year, a significant number of Southern students study abroad. 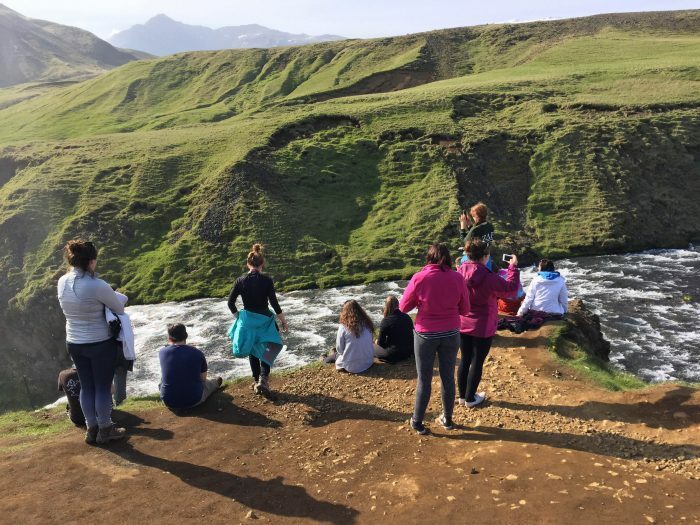 Last year, the university joined 240 institutions nationwide in the Institute of International Education’s Generation Study Abroad initiative to double the number of American students who study abroad by the end of the decade. The Amsterdam program (July 7 – August 7) will address social problems in The Netherlands, especially as they relate to crime, drug culture, sexuality and social control. These and other topics will be covered in courses taught by experts on Dutch social policy and field experiences led by activists, policy makers, and scholars from the University of Amsterdam. The 2016 China program (March 17 – 26) will provide nursing students a unique opportunity to study global healthcare abroad within a developing, culturally diverse population. Students will identify how cultural issues and global diversity impact the delivery of healthcare and will work collaboratively with Chinese nursing students from Central South University in Changsha, China, to explore, understand, and appreciate these differences as well as identify, assess, and plan interventions from a global perspective. The special education field study in Guatemala (July 31 – August 14) will provide students with a unique opportunity to learn about special education in a developing country through interactions with children, teachers and families; discussions with in-country experts; community observations; and visits to schools, residential facilities and other agencies serving children with disabilities. Students will examine special education policies and services with attention to availability, accessibility, assessment, professional preparation, and resources. Topics such as cultural and linguistic diversity, literacy, school attendance and completion, and successful post-school transitions will be explored. 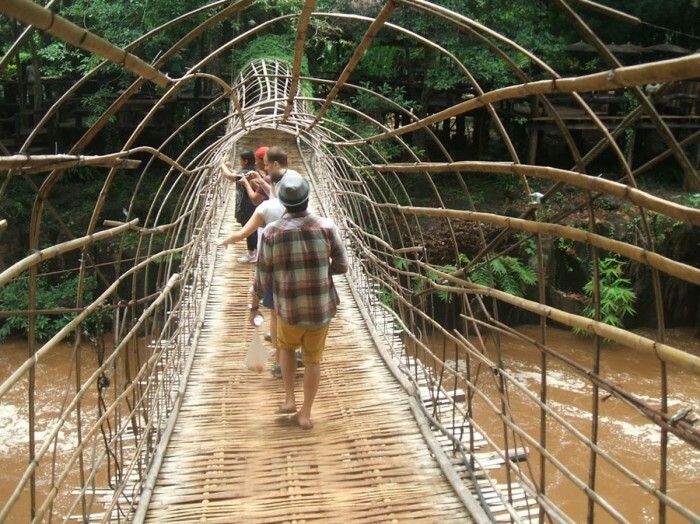 In the Laos program (May 30- June 16), students will take a course that introduces and teaches travel writing while offering intensive practice in multiple forms within the genre, making it suitable for seasoned as well as aspiring travelers and writers. Students will use their daily interactions with Lao culture, food, historical sites, and people to inform their written reflections on what it means to be a foreign person traveling through an unfamiliar country. The Liverpool program – “Atlantic Crossing!” (April 3-12) — will provide students with the opportunity to meet like-minded students at Liverpool John Moores University (LJMU), and learn about the shared historical and cultural roots of two significant coastal cities that played a major role in the international economic and cultural development of the United States and England. The program may also serve as a practicum experience for a student in the Tourism, Hospitality and Event concentration, with student involvement in the planning and logistical management of the program. Students will be required to attend face-to-face meetings with RLS faculty, online meetings with LJMU counterparts prior to departure, and develop a research project linked to their current course work and concentration. For more information about any of these programs, including fees and contact information, visit the OIE website. To hear study abroad alumni speak about their experiences with international study, don’t miss the Global Ambassador Symposium on February 24 at 12 p.m. in Engleman A120. 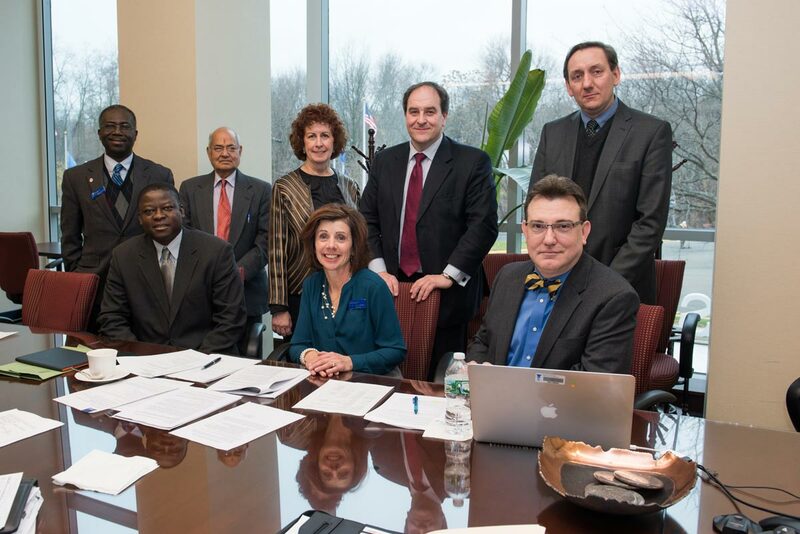 In spring 2016, the first group of students will cross the Atlantic to study abroad under a new agreement formalized Dec. 3 by Southern and Liverpool John Moores University. This “Trans-Atlantic Alliance” will offer students the chance to take classes in both New Haven and Liverpool, England, as well as benefit from dual-taught undergraduate and graduate-level programs, delivered by LJMU and SCSU faculty members through video link and guest lectures. SCSU President Mary Papazian and Edward Harcourt, LJMU’s Pro-Vice-Chancellor for External Engagement, formally signed the agreement in the foyer of Southern’s new science building. “It’s a great place, a safe place for our students to experience the world,” she said of the historic port city, home to the Beatles, the Cunard steamship line and Liverpool F.C., one of the world’s most well-known professional soccer clubs. LJMU traces its roots back nearly 200 years to 1823 and the opening of the Liverpool Mechanics’ Institute. Over the decades, the institute merged with other institutions to become Liverpool Polytechnic; traditionally providing training, education and research to the maritime industry, before earning university status in 1992. Now ranked among the top 400 universities world-wide, LJMU offers 250 degree courses to 25,000 students drawn from more than 100 countries. This spring, four SCSU undergraduates with academic interests in business, wellness, geography and global health will be leaving for Liverpool to study abroad for a semester. 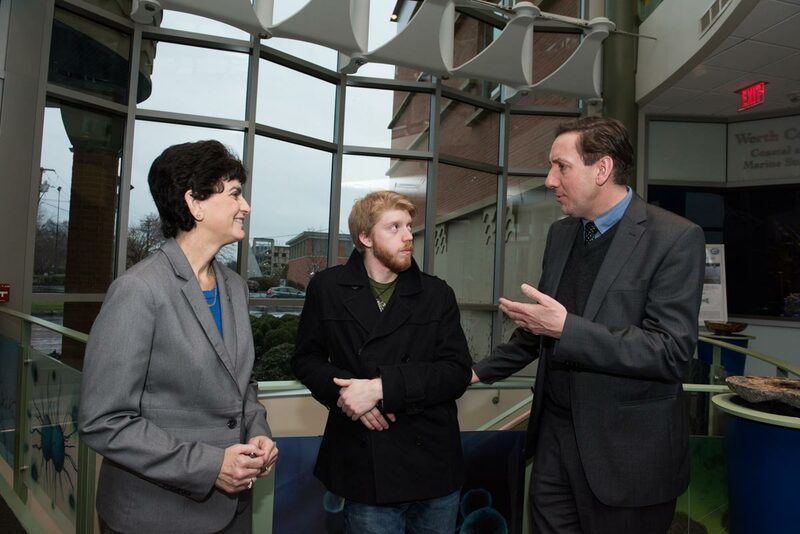 They include senior Shayne O’Brien (pictured with President Papazian and Pro-Vice-Chancellor Harcourt), who plans a career as a glaciologist. Additionally, Mark McRiley, a graduate student from public health, also will be attending LJMU in 2016 to earn his Ph.D. on full scholarship. Several students from LJMU are also expected to be attending Southern. Harcourt told the Register that the Alliance was a “game-changer for both institutions. Liverpool also has smaller-scale partnerships with colleges in China and Malaysia, Harcourt said, but with Southern, “the big prize longer-term is, could we get to the point where we’re presenting a joint prospectus of master’s programs,” which would be unique and enticing to students in overseas markets. On the home front, several academic departments have hosted classes or colleagues from Liverpool via videoconference or in person. 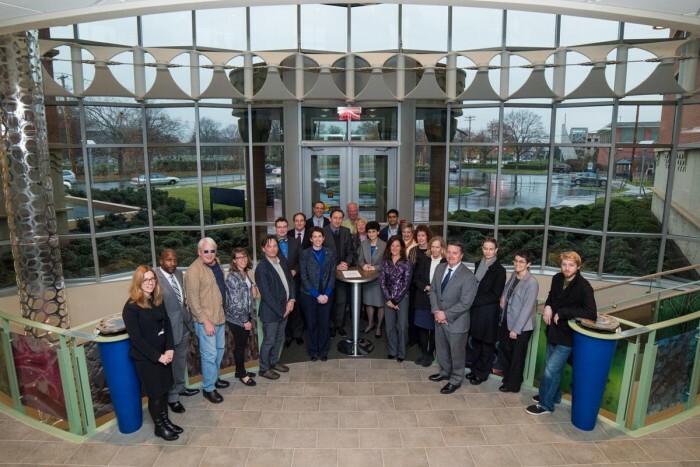 In November, the nursing departments from the respective institutions participated in a symposium in which Assistant Professor Christine Denhup presented her research on parental bereavement following the death of a child, an area of mutual interest for both groups. In late November, John Morrissey, senior lecturer in environmental geography, natural sciences and psychology at LJMU, spoke about “Enabling Sustainability Transitions in the Coastal Zone,” during Southern’s Department of Environment, Geography and Marine Sciences’ Geography Awareness Week. And in October, the visit of former Major League Baseball Commissioner Fay Vincent for the Dr. Joseph Panza Sport Management Lecture was broadcast live to LJMU so that sport management students there could participate and ask questions of the speaker. More collaborations are forthcoming. During the most recent visit of the LJMU delegation, Tim Nichol, dean of the Liverpool Business School, met with SCSU School of Business colleagues (below) to discuss a wide range of potential initiatives. These include collaborative research and teaching, an MBA program in comparative healthcare offered by both institutions and a shared DBA that could be offered internationally. James Tait, professor of science education and environmental studies, is proposing a doctoral research project examining evidence of prehistoric hurricanes in the marshes of Hammonasset Beach State Park in Madison, Conn., with a goal of plotting how the intensity of these storms have changed over thousands of years. Tait has done extensive work researching and proposing solutions to beach erosion along Connecticut’s Long Island Sound shoreline in the wake of recent hurricanes. With SCSU geography colleague Elyse Zavar and faculty from LJMU, Tait recently visited Formby Point, home of the United Kingdom’s largest collection of sand dunes, an area that faces similar issues in the wake of violent storms.